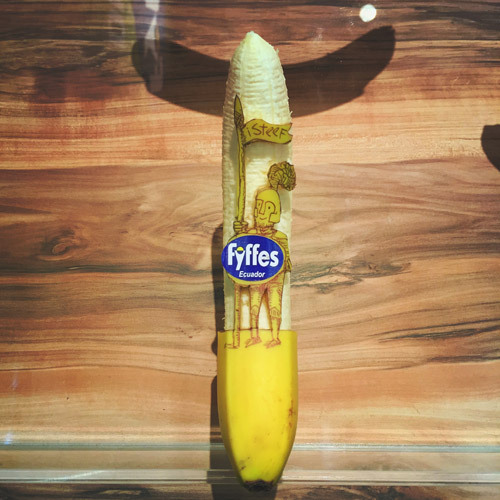 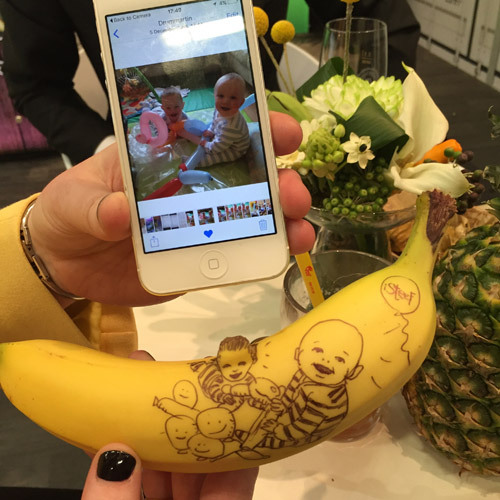 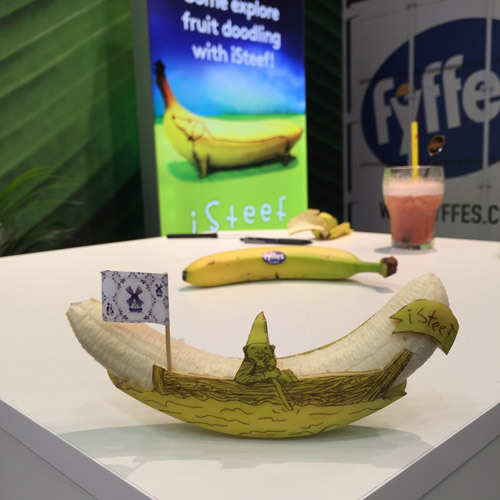 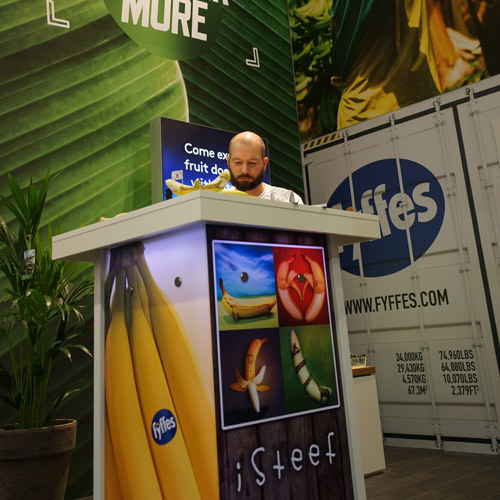 After seeing my appreance on a Latenight TV show Fyffes immediately invited me to join them during Fruitlogistica Berlin 2016. 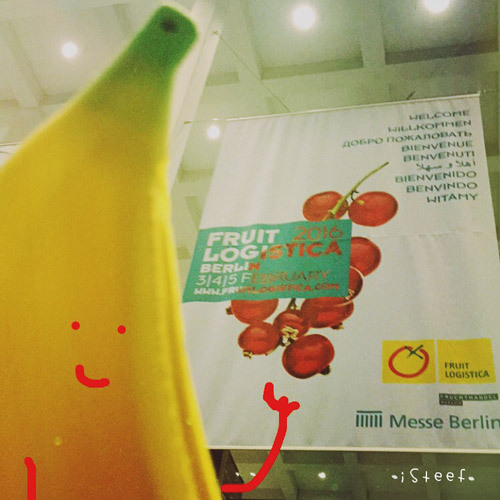 I had my own stand in their booth. 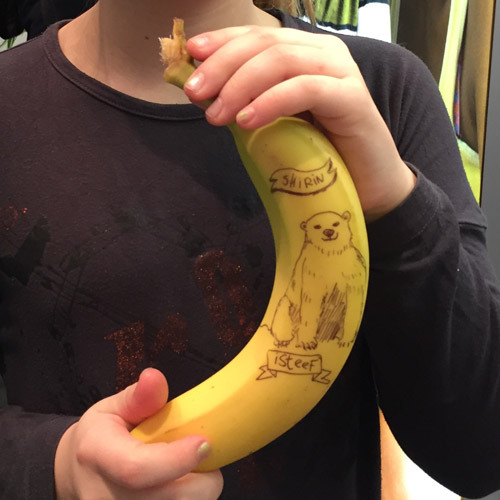 For three days I was live fruitdoodling and taking requests from visitors. 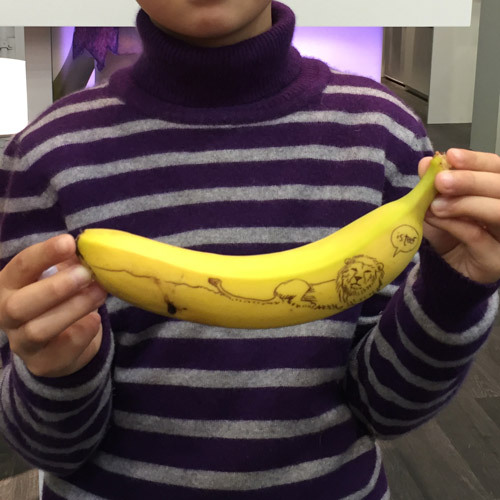 You can see a report of the whole trip by Mr Banana if you click on ‘view project’. 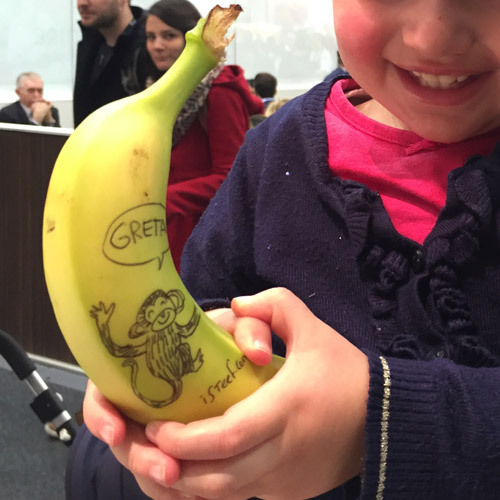 I’ve gotten only positive responses, so we can rightly say it has been very successful!